Norway’s Mr. Little Jeans (Monica Burkenese) is coming to the Lodge Room in Highland Park and we’ve got a free pair of tickets for you and a guest! Mr. Little Jeans’ new single “Unfollow,” available here is perfectly timed for the election (Don’t forget to vote on Tuesday November 6th!) and shows off a new direction in her work. Joining her on the bill is LA’s Taken By Trees and Tiny Deaths from Minneapolis. Want to check out this show on us? 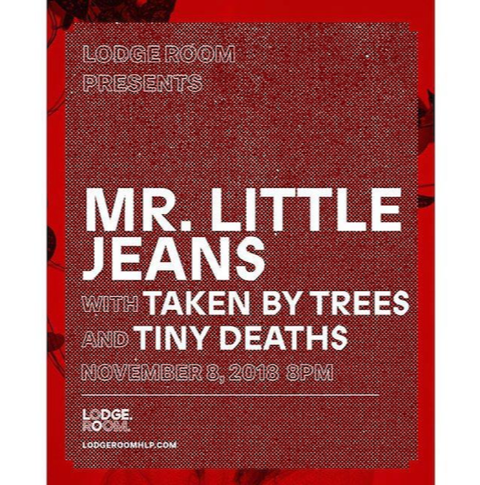 Simply email us at contests@theowlmag.com by 12pm PST on November 6th, include your full name in the body of the email and “Mr Little Jeans @ the Lodge Room” in the subject line. For those of you in need of a sure thing, standard tickets are available for purchase here.